It’s a scary number. 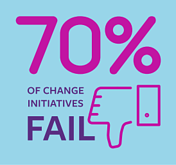 70 percent of change initiatives fail and with them, the ability for an organization to compete in a hypercompetitive marketplace. The truth is that for any initiative requiring a change in frontline or channel partner behavior, unless an effective communication strategy envelopes the program, the likelihood of the program’s success will significantly decrease. The stakes are high and there’s a lot riding on the results. 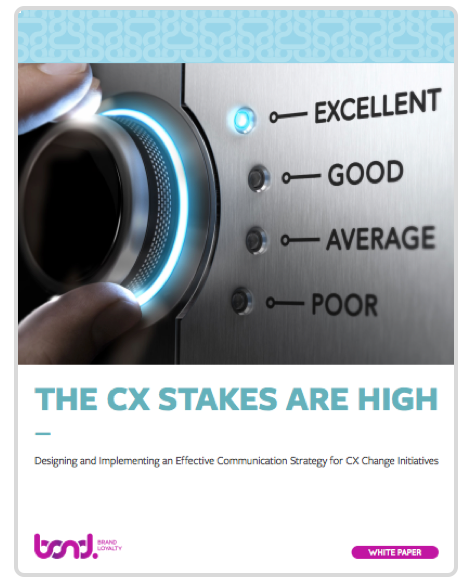 The purpose of this white paper is to provide you with some ideas on how a successful CX communication strategy works, what it should include, and how it should be rolled out to your frontline employees and channel partners. Its development relies heavily on Bond’s extensive knowledge of consumer experience, communications and employee engagement that has been honed over many years of experience.